Technical softshell main chassis constructed incorporating a water-repelling reinforcement to protect against light rainfall, plus mesh lining interior to aid breathability. Internal aramidic fiber reinforcements strategically positioned on elbows, shoulders and back for class-leading abrasion resistance. CE certified shoulder and elbow protectors are removable, allowing jacket to be worn in a variety of outdoor situations. Water-resistant zippers on main chassis and pockets include PU ridges which close tightly behind slider to seal out elements. 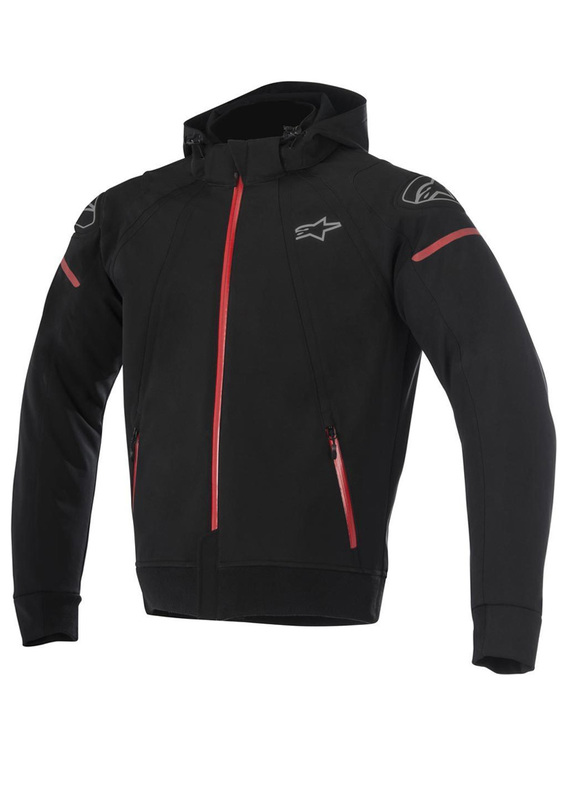 High collar construction with comfort lining offers increased weather coverage and comfort. 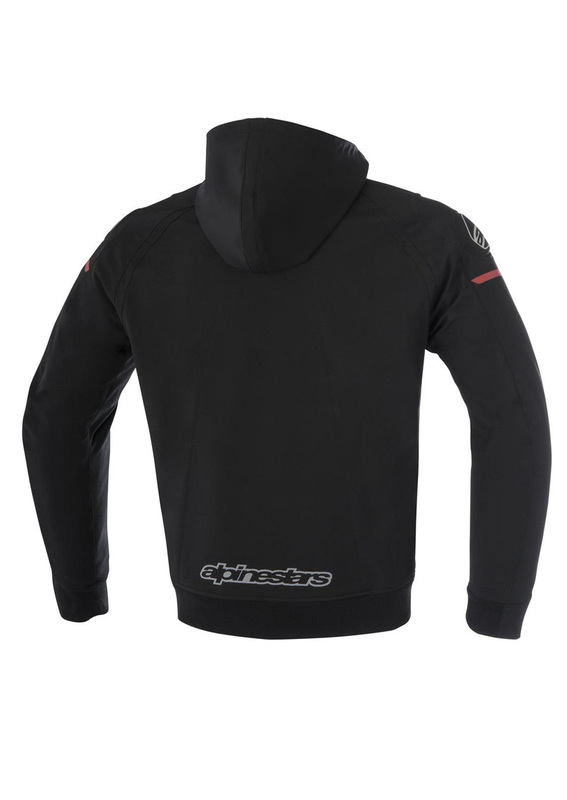 Reflective detailing on the sleeve, plus rear reflective logo improves rider’s visibility. Detachable storm hood is fixed with zip and velcro and offers versatility and convenience. Interior waterproof wallet/document compartment with MP3 conduit.